Though Maclean writes of an age-old focus of all anglers—the day’s catch—he may as well be speaking to another, deeper accomplishment of the best fishermen and fisherwomen: the preservation of natural resources. Backcasts celebrates this centuries-old confluence of fly fishing and conservation. However religious, however patiently spiritual the tying and casting of the fly may be, no angler wishes to wade into rivers of industrial runoff or cast into waters devoid of fish or full of invasive species like the Asian carp. So it comes as no surprise that those who fish have long played an active, foundational role in the preservation, management, and restoration of the world’s coldwater fisheries. With sections covering the history of fly fishing; the sport’s global evolution, from the rivers of South Africa to Japan; the journeys of both native and nonnative trout; and the work of conservation organizations such as the Federation of Fly Fishers and Trout Unlimited, Backcasts casts wide. Highlighting the historical significance of outdoor recreation and sports to conservation in a collection important for fly anglers and scholars of fisheries ecology, conservation history, and environmental ethics, Backcasts explores both the problems anglers and their organizations face and how they might serve as models of conservation—in the individual trout streams, watersheds, and landscapes through which these waters flow. 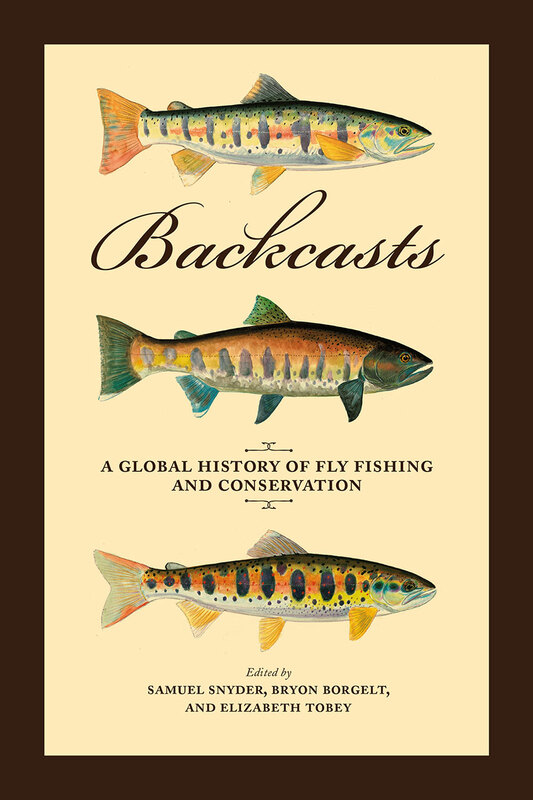 "[Backcasts] offers a historical and contemporary perspective on how anglers' have figured in the preservation, management, and restoration of trout and other salmonids."